We arrived at London Heathrow Airport via the Heathrow Express from Paddington Station, which proved to be a comfortable and hassle free experience.I was very excited to be going on holiday to Barcelona. 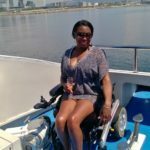 It was my first holiday abroad in ten years and my first as a wheelchair user. I was a little nervous, at first, as I didn’t know how things would go, but the British Airways staff at check-in were so helpful and reassuring that I felt more at ease to enjoy breakfast followed by some airport shopping. 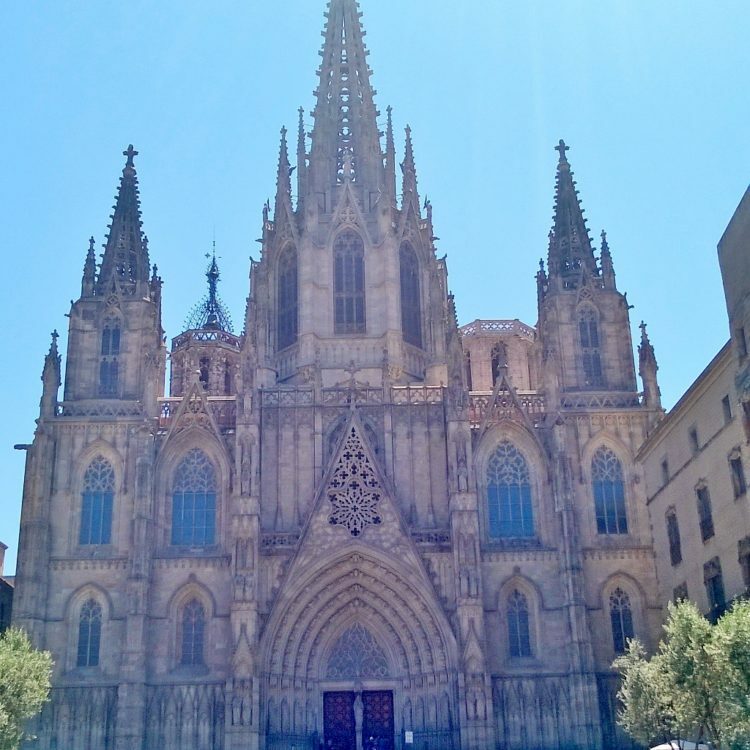 When arriving in Barcelona, I would recommend just going to the tourist information and asking them to book you a taxi, they will have an accessible taxi sorted in minutes. Don’t bother wasting your time on a pre-bookable accessible taxi, only for an unsuitable vehicle to arrive (like we did, only for us to use the tourist information). Our hotel room was lovely and the hotel was in a great location. 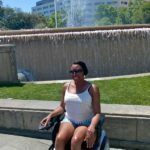 We stayed at the modern and chic Barcelo Raval and it is fully accessible. 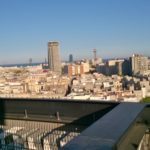 The hotel has a roof terrace which gave you amazing 360o views of Barcelona. 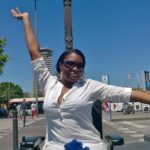 My experience of Barcelona is that it is very accessible nearly all the restaurants we went to had wheelchair access disabled toilets. The people were great and very friendly. The buses there had ramps and the pavements were smooth with drop curbs. Barcelona is blessed to be a historical city with a beach. Amongst other places visited we went to the Picasso Museum, I fully immersed myself into the Spanish culture, eating and drinking. We went on a boat trip around the coast which was fully accessible with ramps. 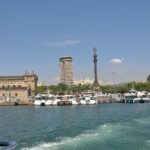 Where we saw the Barcelona skyline from the sea, it was fantastic! At the beach I managed to find a path I was able to wheel on to. With help I got on to a sun lounger, it was great to feel the sand between my toes. What more could a girl want! After five nights in Barcelona it was time to leave hot and sunny Barcelona and head back to London. With a little more airport shopping it was, goodbye Barcelona it has been great.